Danielle joined Mirasee at the beginning of 2018 as Mirasee’s Director of Marketing and Copy Chief. She had known Danny for years, and even consulted with him on various occasions about sales copy and launch campaigns, before he finally convinced her to join Mirasee as a permanent member of the team. Then while she was working on her B.A. in English Lit and Creative Writing at NYU, Danielle accidentally stumbled into the world of direct-response copywriting, and never looked back. You could say she fell in love with copywriting: the ability of words to really help people – both for clients who are building the “entrepreneurial dream” of freedom and impact and the customers that they serve. Danielle mentored under A-list copywriter Harlan Kilstein for years and wrote winning campaigns for 17 different niches (everything from business and weight-loss offers to piano instruction). Now, with over 12 years of experience as a launch copy specialist, Danielle has been the behind-the-scenes secret weapon of some of the biggest launches in the industry, including eight 7-figure-plus launches in the past two years alone. And she’s secretly been the voice of many well-known and respected leaders in the online marketing community, many of whom you’ve probably followed for years. 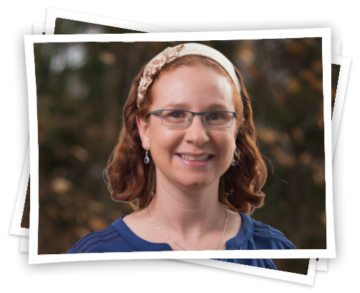 When she’s not planning marketing campaigns and reviewing sales copy, Danielle enjoys time with her husband and their three beautiful daughters at their home in Israel.